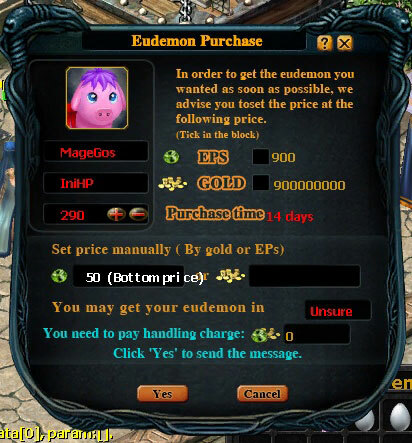 Is it taking too long to purchase Eudemons? Want to sell a Eudemon but have no idea how much to sell it for or where you can secure a buyer? Wouldn't it be nice if there were an agent who could help you with all these problems? Well, now there is. The Eudemon Purchase platform will do all these things for you. 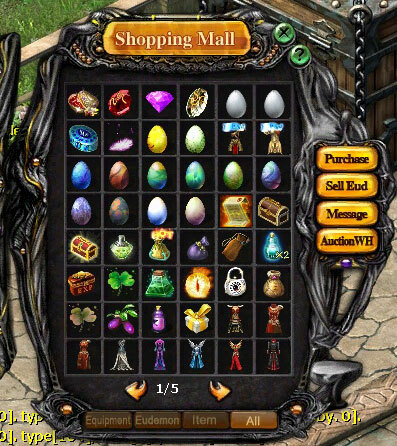 If you want to buy a Eudemon, all you have to do is click the 'ShoppingMall' button labeled -Purchase. The system will take 5 percent commission of the asking price. 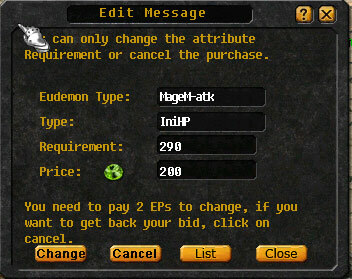 For example, the system will charge 5 EPs if you buy a Eudemon at 100 Eps. 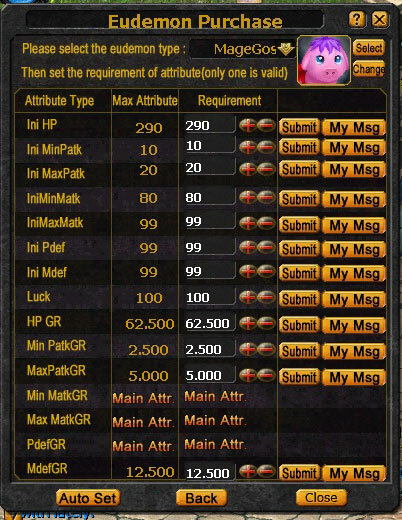 The minimum commission is 3 EPs or 250,000 gold. You must pay the asking price and commission once the purchasing Information is published. This is how it works. 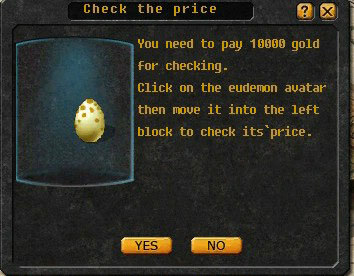 Once a Eudemon is hatched or evolved, the system will automatically check if it's your required Eudemon. If it's available, the seller will get a notice asking if he/she wants to sell it at your asking price. 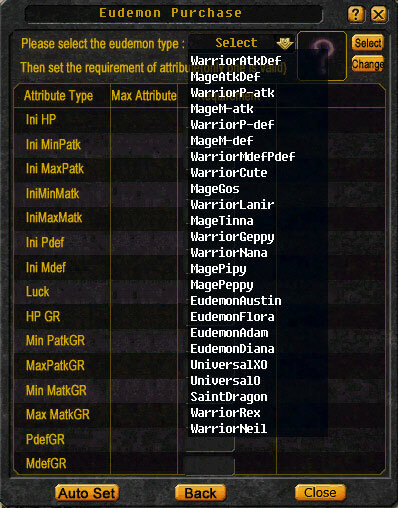 If the owner agrees, the system will make the transaction and put the Eudemon into your auction warehouse . It does not matter if you are or are not online. But if there is no free space in your auction warehouse, this purchase will not be completed. You can change your Purchasing Information at any time. However, be warned that there is price limitation. If your purchasing price is too low, your order will not be processed. 2. 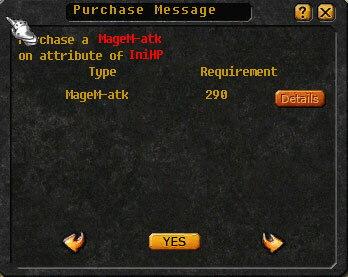 Click on 'Purchase' to publish your information. 3. 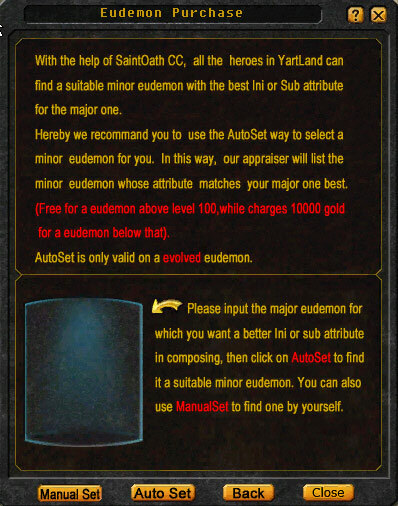 Click 'Manual Set' and Select the desired Eudemon and its stats. 4. 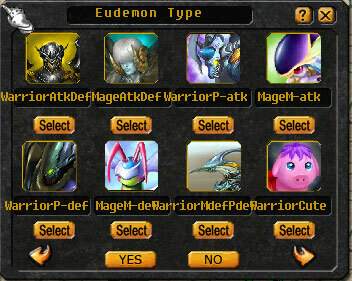 You can also click 'Select' to choose your desired Eudemon. 5. 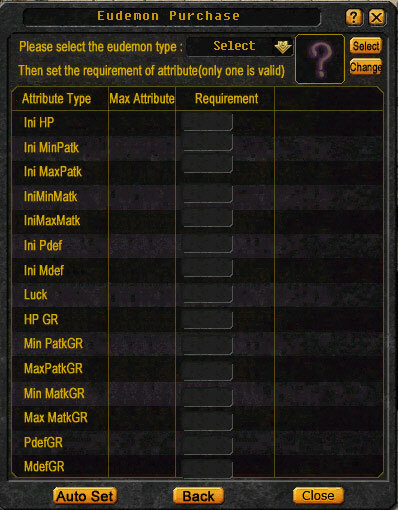 Clicking + and - will select the desired stats. 6. Click 'Submit' and enter your purchasing price. 7. 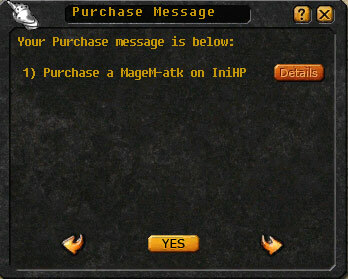 Click 'My Msg' or 'Check My Msg' to check and change your purchasing information. 8. 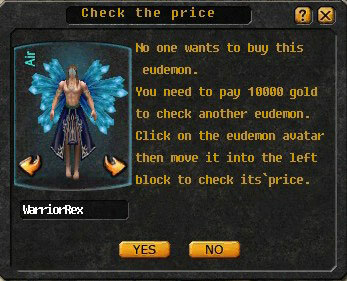 When you want to sell a Eudemon, simply click 'Sell Eudemon' to check if anyone has requested this type of Eudemon.